Bournda Environmental Education Centre offers a range of Peer Support activities that can form a part of any day or overnight program, or can be run by BEEC staff at your school. 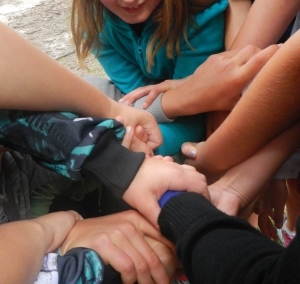 Peer Support activities are designed to allow students to develop a sense of self, resilience and connectedness in a supportive group setting. They allow for a fun and engaging way to develop peer connections and assist students to develop practical skills in working cooperatively, relying on others and breaking down social barriers. The activities encourage positive student wellbeing as well as a supportive learning environment.